This Year's Doctor Who Christmas Special Is Called... | Warped Factor - Words in the Key of Geek. How about that then? 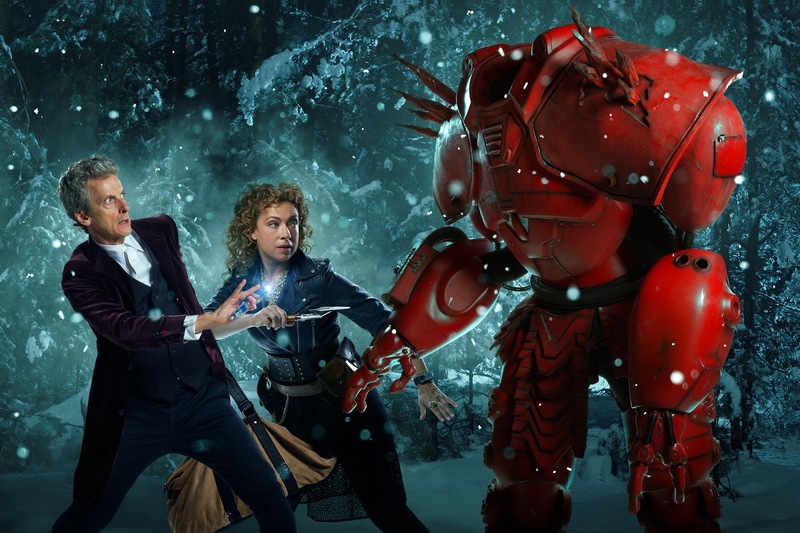 A nice new promotional image for this year's Doctor Who Christmas special to go alongside the synopsis released last week. All we need now, I hear you cry, is the title for the episode. No, not exactly festive is it? But we're excited for it all the same. And if that picture is anything to go by then it seems River was once married to Baymax who's got beef with her current beau. Or maybe not. The Husbands Of River Song will premiere on Christmas Day 2015 on BBC One. UPDATE: The broadcast time has been confirmed as 5.15pm to 6.15pm. Pretty early, huh?